A new concept of lodging, the ideal place to relax and feel like at home. 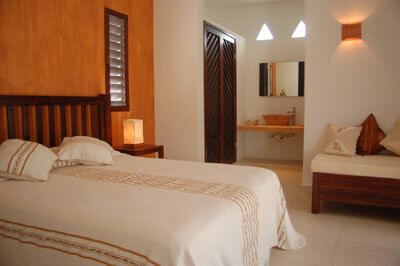 Villas “El Encanto” is a family business, personally attended by the owners. Inspired by the Mexican minimalist Architecture, surrounded by tropical gardens and jungle. The ideal refuge to find harmony of body and mind, pleasant environment, where professional staff will help you with your needs. You will be able to enjoy our swimming pool from 8:00 a. m. to 10:00 p. m. We do not have lifeguard service. Swimming pool towels, are available. 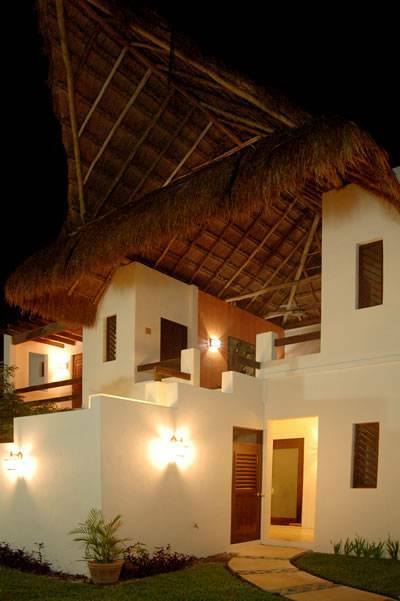 Each Villa has its own personality, Mexican minimalistic concept. Though for enjoying a great vacation in a relaxing way. Each Villa has its own terrace, fridge and safe box, queen size beds, cotton linens and air condition, hot and cold water. Maid services every day except Sundays. Wireless Internet. In Common Areas: Swimming pool, fully equipped kitchen, living room with TV and DVD, garden and grill, fully equipped laundry room. We can also help you with services like rent a car, scooters, scuba diving, discover scuba, snorkeling, fishing trips, helmet sea trekking, golf, wedding, souvenirs, shopping, etc. All Spa Services are upon request. Food & Beverage: We offer with an extra cost delivery service from 9:00 a. m. to 11:00 p. m. breakfast, lunch and/or dinner. Mexican minimalist Architecture, surrounded by tropical gardens and jungle. 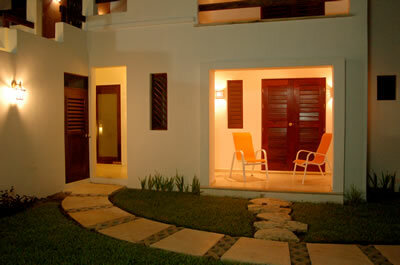 Swimming pool, fully equipped kitchen, living room with TV and DVD, garden and grill, fully equipped laundry room. 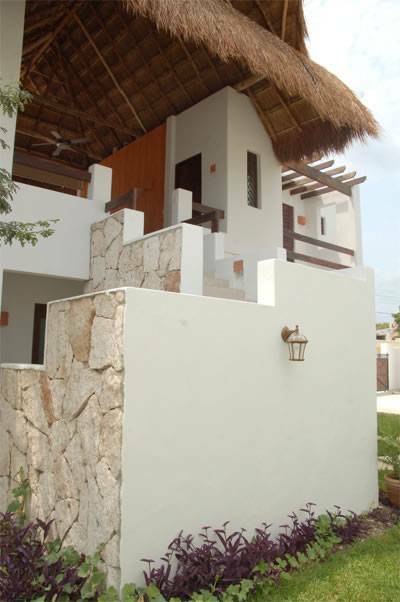 Each Villa has its own personality, Mexican minimalistic concept. Though for enjoying a great vacation in a relaxing way. 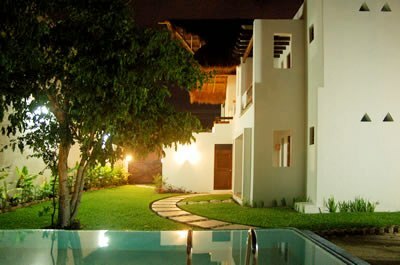 Each Villa has its own terrace, fridge and safe box, queen size beds, cotton linens and air condition, hot and cold water. Maid services every day except Sundays. Cozumel is Mexico's major island located in the southeast, in front of Playa del Carmen, in the Caribbean Sea. It is 65 kilometers long and 14 kilometers wide. It is an ideal destiny for diving because the second biggest barrier reef on Earth surrounds it, having beaches of white fine sand, archeological sites, tranquillity and safety. Offer with an extra cost delivery service from 9:00 a.m. to 11:00 p.m. breakfast, lunch and/or dinner. Additional charge of $20 usd apply for Extra Person in room. Cancellations received 3 days/72 hours prior arrival – NO CHARGE. Cancellations received less than 1 day/24 hours before arrival - 1 NIGHT CHARGE. No Show Policy is 1 Night penalty (All Seasons / Hotel Time CST). 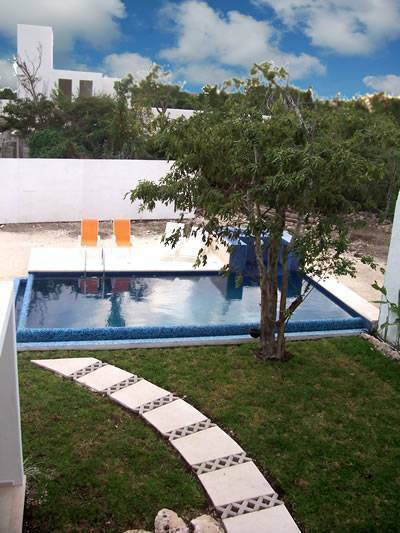 Only one block from the Caribbean Sea, three blocks from the Commercial area of the Island of Cozumel and 5 minutes from de International Airport.